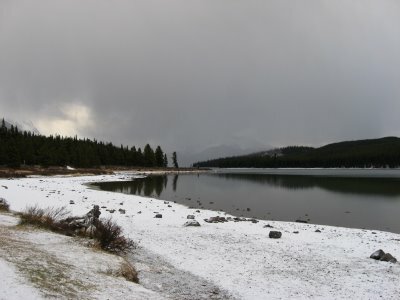 I ventured out to Maligne Lake in Jasper National Park to walk along the lakeshore. The snow was much deeper out here, and the lake lay enshrouded in grey mist. Snowflakes blew horizontally in the bitterly cold wind. 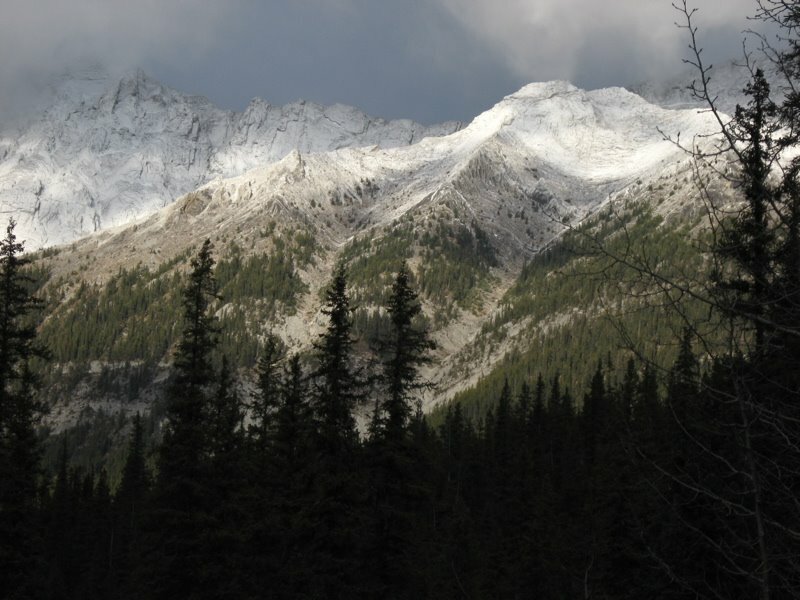 Above me the Maligne Range rose grandly, its grey, jagged peaks catching the sun when it occasionally peeked out from behind a roiling mass of storm clouds. 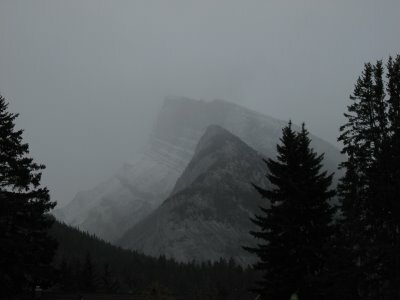 I arrived in Jasper in the midst of a snowstorm. The familiar town stretched out before me. 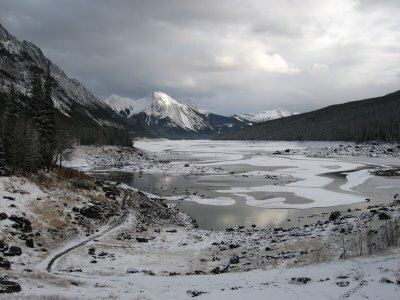 Excited to see my favorite spots blanketed with snow, I drove out the Maligne Road and visited mysterious Medicine Lake. 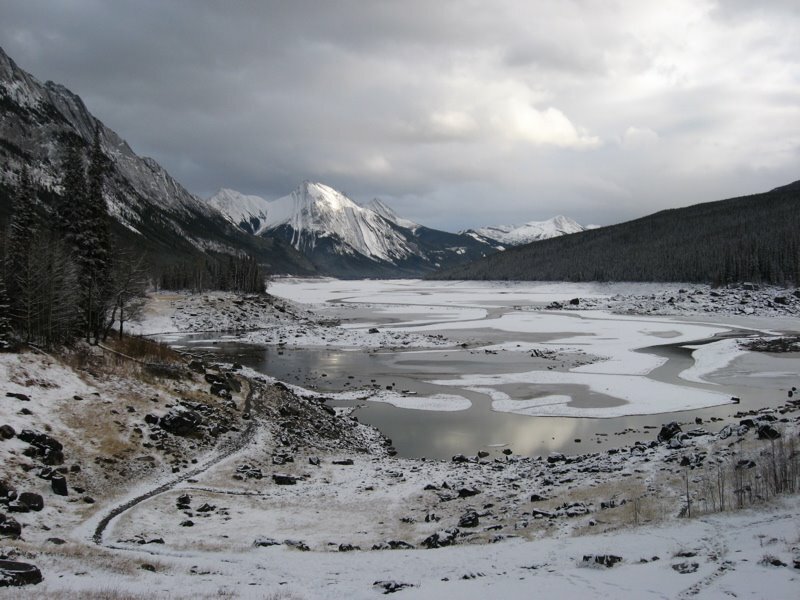 For years Medicine Lake puzzled visitors because it completely disappears in the winter. With the discovery of subterranean caverns that empty into Maligne Canyon, the mystery was at last solved. I've seen this lake many times in the summer, when it brims full with water. But this was my first visit to see it at its emptier stage. 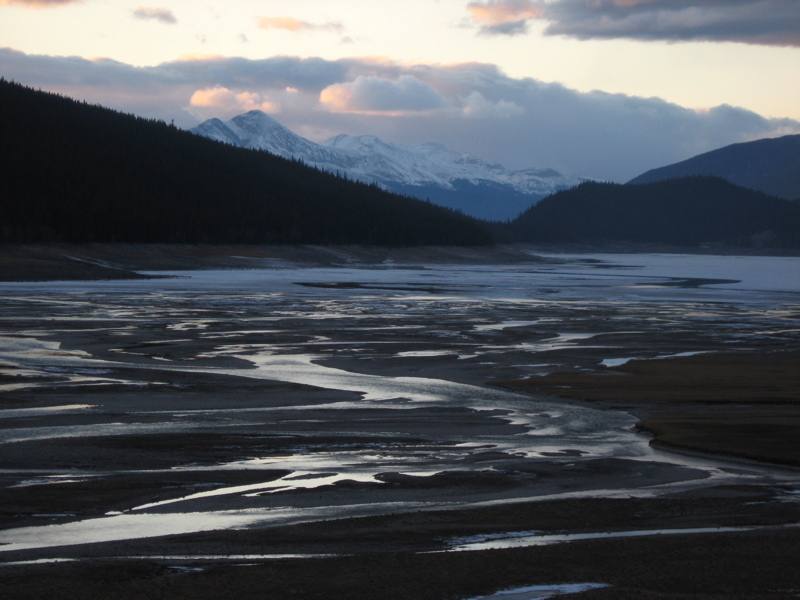 The bright blue lake had been replaced with little creeks and winding rivulets of water. Ice covered what standing water remained. 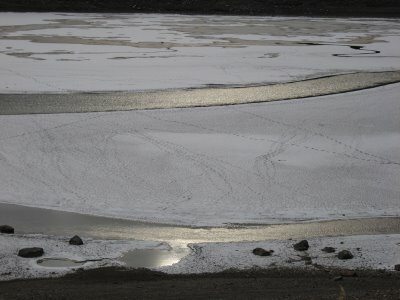 Tracks meandered across the lake's snowy surfaces. The southern end of the lake is all rivers and ice right now. Ever get the feeling someone wants your attention? I crossed the Sunwapta Pass, arriving the Athabasca Glacier. 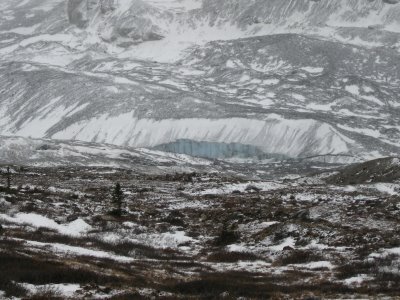 A bitterly cold wind gusted down from the Columbia Icefield, and I climbed a lateral moraine and peered out onto the vast expanse of the glacier. 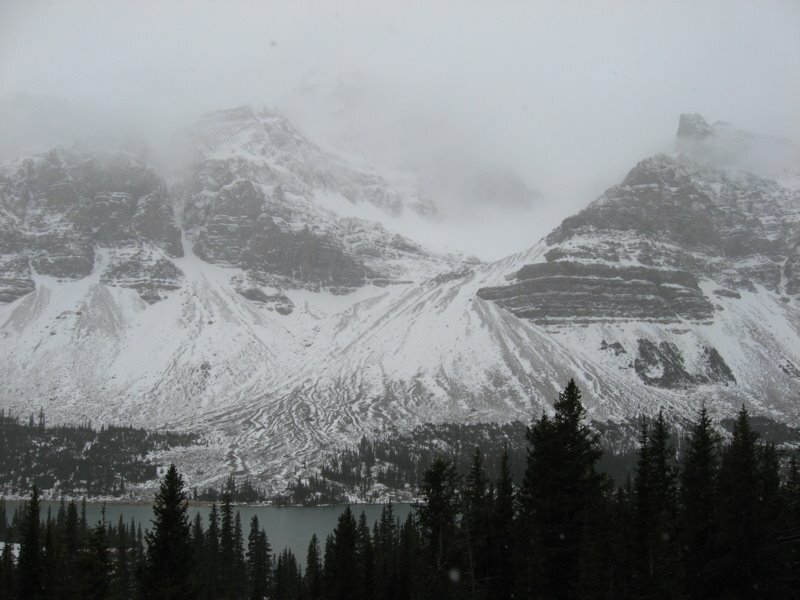 The peaks lay dusted in fresh snow and the scene carried that eerie stillness and quiet that snowfall ushers in. The pale blue of a huge crevasse in the ice stood out against the white of snow. From Banff I headed north along the Icefields Parkway toward Jasper National Park. 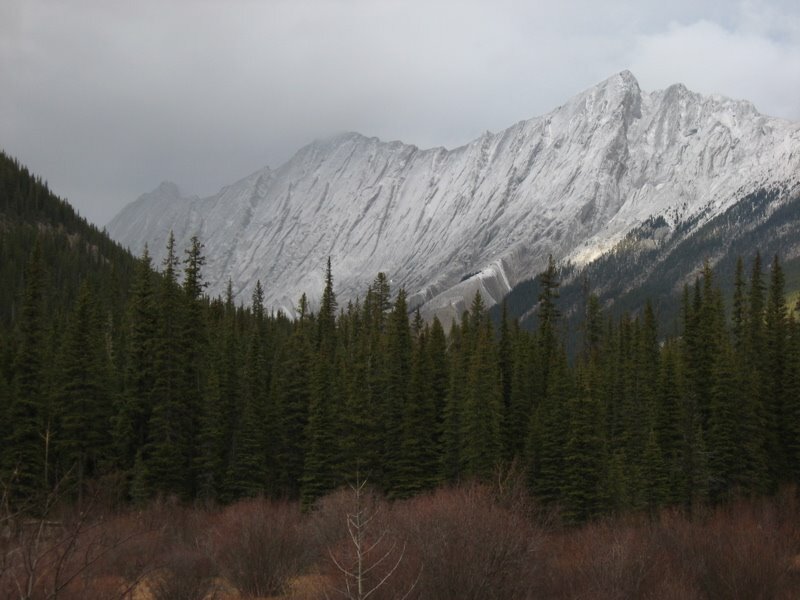 Snow flurries fell almost continuously, and the peaks rising on both sides of the road where enshrouded in low hanging clouds. It was utterly gorgeous. 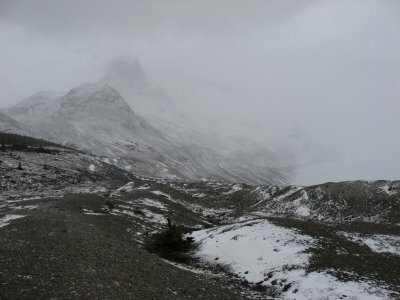 The Crowfoot Glacier was barely visible through the grey and white swirling mists. I stopped and hiked down to Mistaya Canyon, a narrow slot canyon roaring with teal and white churning water. 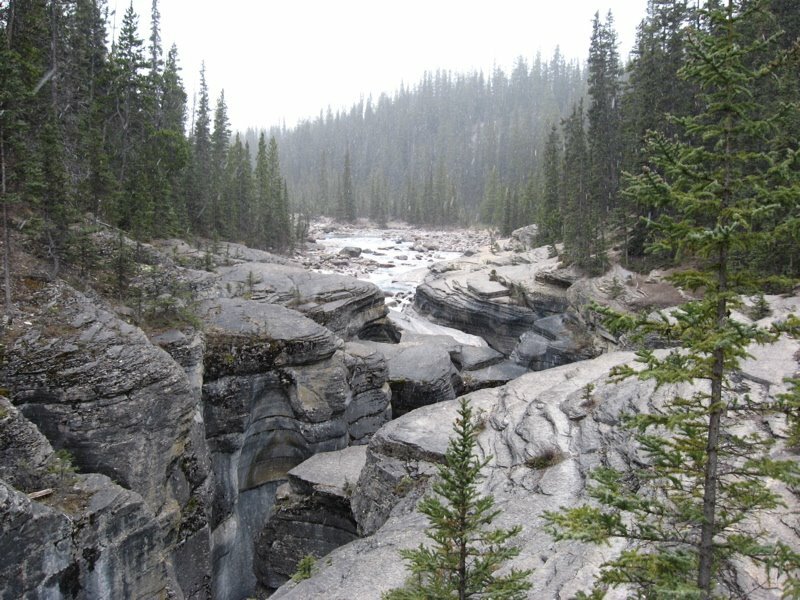 The thunder of the cascade roared up through the canyon, filling the air around me. 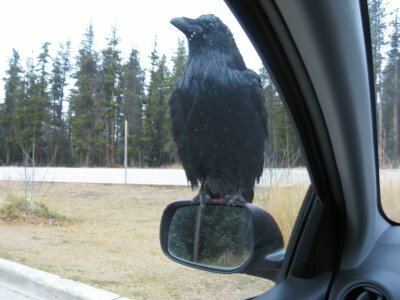 After the World Fantasy Conference, I drove north to Banff National Park, one of my favorite places in the world. 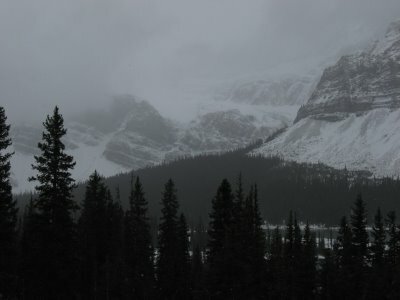 It's very snowy, with clouds hanging low, enshrouding the peaks. I hiked along the Bow River Trail, my breath steaming in the cold air. 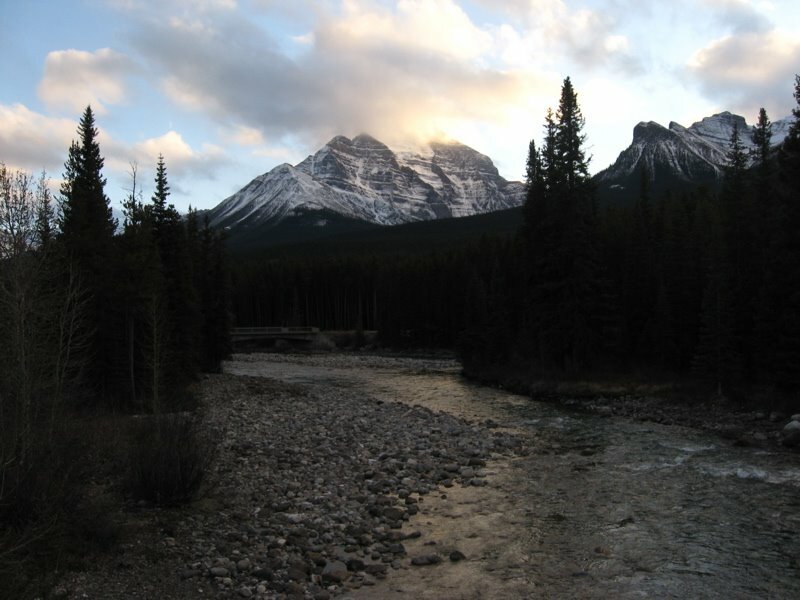 At dusk I looked out over Lake Louise. A tremendous avalanche crashed down across the lake, dropping from the Upper Victoria Glacier. It took the rumbling and roaring twenty seconds to reach where I stood, and when it did, the air filled with thunder. I just spent four days at the World Fantasy Convention, a writer's conference held this year in Calgary. It was absolutely wonderful to spend time with my writer friends, including Melinda Thielbar, Lucy Snyder, and Gary Braunbeck, who was nominated for a World Fantasy Award. I celebrated with my fantastic editor of my upcoming novel Voracious, and enjoyed a delicious annual dinner my agent throws for all his clients. Good company was found everywhere, and the weekend was full of stories of writing, publishing, travel, and a vast array of interests. On Sunday I moderated a panel on the evolution and changing roles of the vampire and the vampire hunter with Jason Nahrung and Suzy Charnas. We had a great turnout and a lot of fun discussing the subject. I then attended the World Fantasy Awards banquet, again with my fantastic editor. Our table brought home three awards, including a Lifetime Achievement Award for Pat McKillip, a best novel award to Guy Gavriel Kay, and Best Novella to Elizabeth Hand. The introductory speech by M.C. Tad Williams was hilarious.